Vitafoods closed its doors on Thursday after a three-day event in Palexpo, Geneva. We’re just back from VitaFoods Europe 2018, the leading nutraceuticals event in Europe. visitors and meeting customers on our stand. 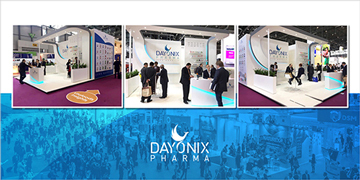 affair for Dayonix Pharma with visitors hailing from 42 different countries of 5 continents. Palexpo, Geneva and enjoyed another record-breaking year.